British officials are using aid money to support oil drilling in a World Heritage Site in Africa, according to an Unearthed investigation. Surestream has already carried out seismic surveys in the region to inform drilling plans. Unearthed, together with the Guardian, has pieced together diplomatic cables, project plans, official reports, press clippings and company accounts to reveal how British government intervention and foreign aid have been used to pave the way for UK companies exploring for oil in one of the world’s poorest countries. The news comes after International Development secretary, Priti Patel, announced a move towards tying foreign aid to trade deals. Unearthed has previously revealed that UK companies hold exploration licences for oil in 29 national parks across sub-Saharan Africa with UK officials offering support for drilling across the continent. In Malawi, campaigners and NGOs have expressed serious concerns over the consequences of any oil exploration. Most of Malawi’s oil license blocks overlap Lake Malawi, one of the largest freshwater lakes in the world. The vast body of water is home to Nile crocodiles, hippopotamus, monkeys, and African fish eagles, as well as supporting the livelihoods of more than 1.5 million people living on its shores. Its southern-most shores are protected as a UNESCO World Heritage site and local experts have expressed fears that oil exploration anywhere on the lake could have devastating results. Despite those concerns, the UK government has been supporting the Malawian government in its drive to produce oil. Unearthed can reveal that thousands of pounds of foreign aid money – a total of £28,404 in 2016 – have been pledged by the Foreign Office for a project called “oil and gas capacity building for the Malawi government”. The money came from the UK’s Africa Prosperity Fund, which included support for clean energy and tackling climate change amongst its objectives. Read the Project plan here and here. 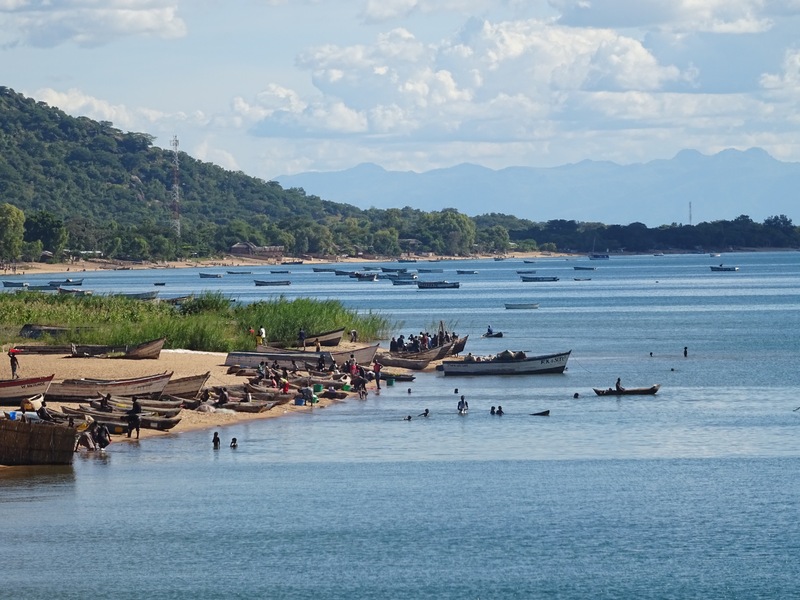 Campaigners in Malawi have raised concerns that any profits from the oil in Lake Malawi would go to international companies, rather than benefiting the local community. UK firm Surestream Petroleum has been active in Malawi since 2011 but has faced problems exploring for oil. In 2014 its two oil exploration licenses were frozen and, separately, questions were raised about how the company had come to buy the two, potentially lucrative blocks, which both overlap Lake Malawi. The firm – like many of its peers – has actively cultivated a relationship with the UK government, meeting with a Home Office minister back in 2013 as well as donating hundreds of pounds in 2014 to the British High Commission in Malawi to help fund a party for the Queen’s birthday. At that event the High Commissioner for Malawi, Michael Nevin, thanked Surestream and others for their donations, and noted that: “DFID too will provide more support to the private sector. This includes working with the Government to create a better enabling environment for business”. Surestream and the UK government deny that any lobbying took place on behalf of the company. In February this year, Secretary of State for Scotland David Mundell flew in to Malawi to meet President Peter Mutharika, with the promise of £4.5m of aid for the country. His trip came just days after the Malawian government had lifted the freeze on the blocks, allowing Surestream and their partners, Hamra Oil, to proceed with plans for exploration. Whilst there is no suggestion Mundell played a role in this particular decision, diplomatic cables detailing the trip – and released under FOI – include two paragraphs of redacted text titled “Oil and gas”. The UK government confirmed that Mundell and Mutharika had “a short conversation in the margins of a dinner about the President’s concerns about lack of oil and gas skills in the country, and his understanding that there was considerable expertise in Scotland.” As a result, Mundell agreed to facilitate contact between the High Commission and the UK Oil and Gas Authority. Then, after the trip, High Commissioner to Malawi, Michael Nevin went on to meet with both Surestream and later with Malawi’s minister of Natural Resources, Energy and Mining, however no minutes were kept of either meeting. When contacted by the Guardian, Surestream denied any lobbying took place and refused to comment. A UK Government spokesperson said: “The UK Government’s aid funding for Malawi was not linked to UK business interests, and the UK has a clear commitment to keep aid untied. “The UK plays a leading role in supporting Africa to make the most of its oil and gas resources, providing vital foreign investment to encourage economic development. Surestream produced an Environmental Impact Assessment report which it shared with local residents and stakeholders in January 2014. The report downplayed the dangers of a spill, noting in one instance that “While some studies have found oil to be lethal and decrease photosynthesis in phytoplankton, other sources have found low concentrations of hydrocarbon spills actually stimulate phytoplankton growth”. But some locals are much more worried. Malawian campaigner Godfrey Mfiti has travelled around the borders of the lake talking with villages chiefs in the area. He is calling on Surestream to produce a human rights impact report, exploring the impact any drilling would have on local communities. In March 2014 UNESCO called on the company to publicly commit that it would not drill for oil inside protected areas nearby, as well as noting the protected park’s fluid borders “makes it highly vulnerable to threats originating beyond its boundaries”. The Malawian government has repeatedly delayed on responding to the UNESCO calls, and as yet has not commented on whether it will ask for these assurances from Surestream and others.